As the show is attracting and receiving more and more attentions I’d like to share few links as well as announce the exhibition catalogue. available on Amazon. 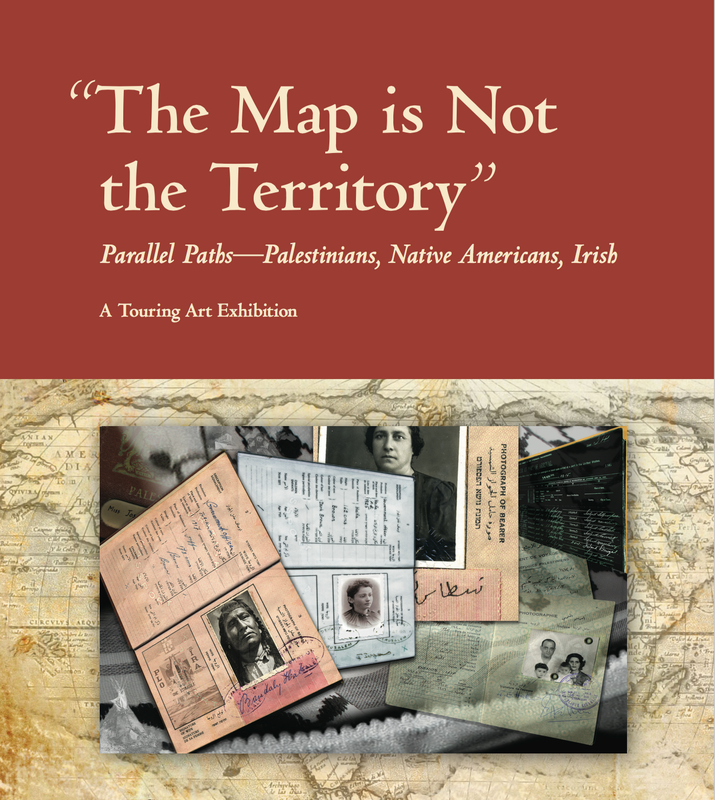 “The Map is Not the Territory” looks at relationships and commonalities in Palestinian, Native American, and Irish experiences of invasion, occupation and colonization. Although many peoples worldwide have suffered long and often brutal intrusions, Palestinians, Native Americans and the Irish have intersected for centuries in specific and often unusual ways. What are some of these intersections and how do contemporary artists examine and process them through their own lives and visions?The artists and writers — most of them Palestinian, Native American and Irish — explore the many profound connections between these three groups across centuries of conflict and resistance in this enlightening and revolutionary exhibition conceived by Jennifer Heath and co-curated with Dagmar Painter. “The Map is Not the Territory” will tour through 2018. To follow the show’s progress from Washington D.C. to London and beyond, check out our calendar. Copyright © 2015 baksun books & arts, All rights reserved.